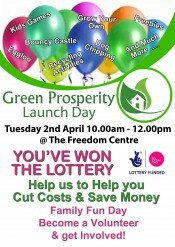 The Big Lottery funded Green Prosperity project is having a one day launch event split over two wards in East Hull. Tuesday 2nd of April at two community venues. Hull Warm Zone Ltd, with the aim of making Hull homes more comfortable and affordable to heat. Hull Warm Zone will be completing 3000 energy surveys over the three years of the Green Prosperity Project. So residents can sign up for a free survey and obtain practical cost saving advice at the launch and throughout the life of the project. Staff from the Council’s Green Deal Team will also be on hand to offer advice and support to residents. Probe (Hull) Ltd, who supports local people to fulfil their potential by offering a range of opportunities and services relating to advice and guidance, employment, training and enterprise. As part of Green Prosperity they will develop an eco-house that residents will be able to visit and see energy saving measures in practice. 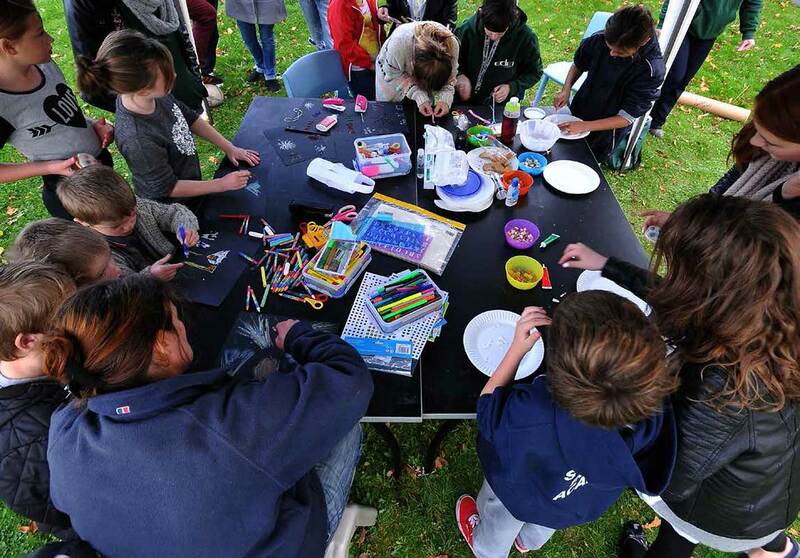 They will also offer support to residents or groups who have ideas for the development of green/social enterprises. Food 360, the aim of this project is to encourage people to try out “The Good Life” and start growing their own food at home. Working with Green Prosperity residents will be given the opportunity to learn how to grow produce in their back gardens as well as access to demonstrator allotment plots the East Hull Community Farm and additional advice on rearing chickens and tending bees. Dodd’s Ltd, are experts in renewable energy have recently completed their purpose built energy centre in Bainton and it’s open to the public 7 days a week. Dodd’s will be working with Probe and Hull College to fit out the eco house with energy and resource saving equipment. Hull City Council – Recycling Team, responsible for the city-wide blue and brown bin recycling schemes that runs alongside domestic waste collection. Staff will be on hand to help residents with any of their recycling questions and work with Green Prosperity to get more people engaged in reducing, reusing and recycling more of their waste. Preston Road NDC Ltd – Freedom Green Care, will oversee the development of for Green Prosperity a new “Green Homecare Service” with the aim of reducing the travel time and distance that many care workers undertake in order to carry out their roles. Local residents will be offered the opportunity to sign up and be trained to undertake a special remit to support individuals to make greener choices at home and out in the community. Environmental & Management Solutions (EMS) Ltd, an environmental charity who work with residents and community groups to improve the environment they live in. EMS Ltd will be interacting with all the partners on the Green Prosperity Project to engage residents via community road-shows, operate the Community Information Point located on Preston Road Village, Centre, set up environmental clubs in the schools and work with volunteers to help deliver a range of events and activities to promote the project.